$89.87+ Gremio! The product of "leftover soup"
Upgraded from my HDD, seen it on sale so i picked it up. Not as nice as name brand, but does get the job done. It feels kinda cheap, but it works fine. Was able to install my OS to it and partition it out without a problem. What would you expect for $20? It isn't by any means the fastest ssd out there, but is sure as hell better than a spinner. Again, I have used this ssd seemingly a million times, and it never seems to fail me. I find myself using this ssd a lot. It works faster than a spinner and that's what really matters. 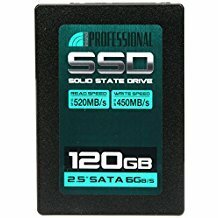 Wanted to get and ssd for the operating system and things I use frequently.